More on the Chief Raxxess Vented Cantilivered Shelf VCS-2 below. 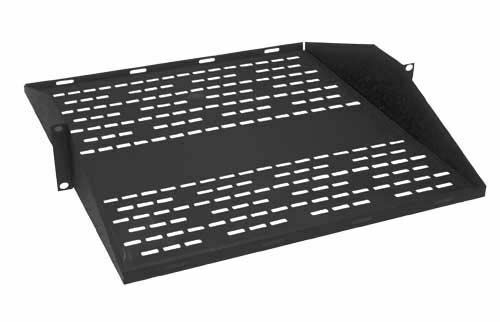 The VCS vented cantilever shelf provides convenient rack-mounting for otherwise unmountable equipment and brings electronic components well forward of the rack face. Single-piece, 16-gauge, cold-rolled steel construction. A vented bottom panel, allowing necessary ventilation to heat-generating electronics. A 50 pound weight capacity. *This rack occupies 2 rack spaces.